If you spend enough time working on home improvement projects, you do so for a good reason. Some enhancements, such as a front yard makeover, can drastically improve the image of your home. Others, however, can increase your comfort and even potentially raise the value of your home. This article explores how your backyard can increase the value of your home. Stay tuned for the details! 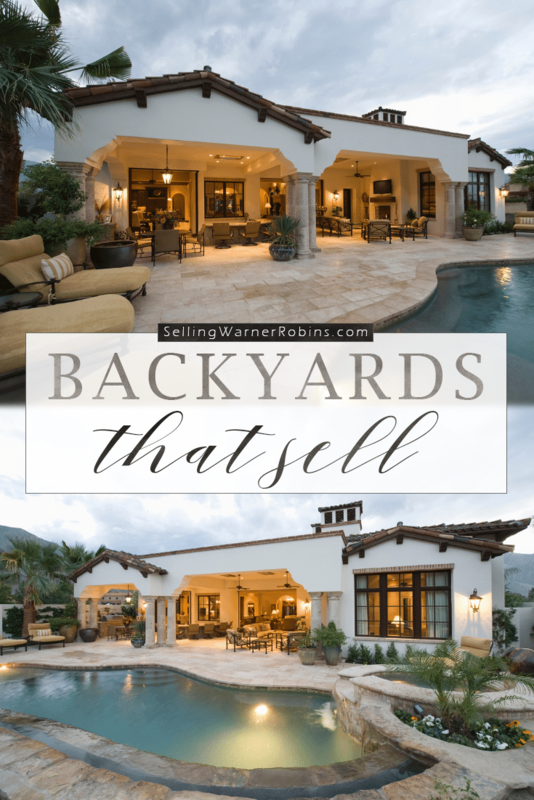 The backyard is often a key component that helps decide your home’s market value. Despite being hidden behind the house, its shape and formation often determine if the estate is going to sell well or not. Whether intended to be used for parties, a playground for children or pets, or a place to store your “toys”, there are various reasons why you should adapt your backyard and help raise the price of your estate. Some projects can be done quickly and cheaply while others may take some effort. Either way, you will be taking your backyard to the next level. 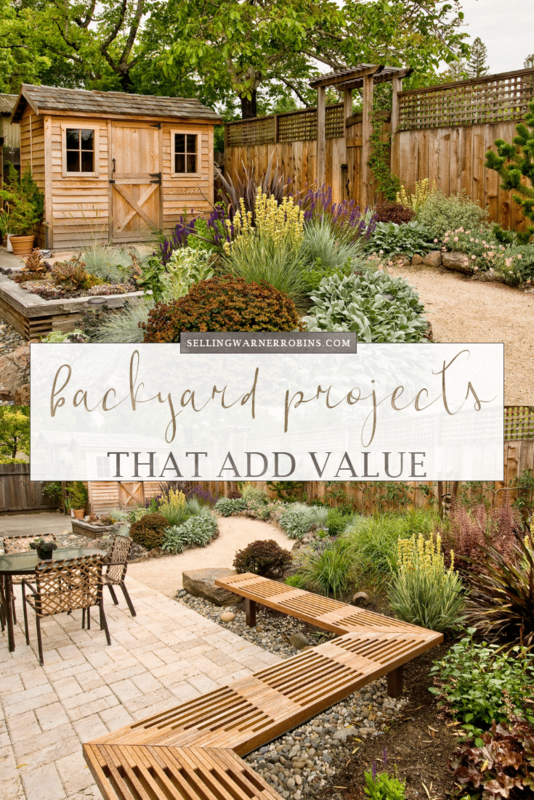 If you are convinced but not sure where to begin, check out this guide and learn how your backyard can increase the value of your home. Why Does a Backyard Matter? While the front yard serves as the entry point to your home, the backyard offers a piece of privacy and relaxation. To many, it serves as a safe haven where they can truly enjoy their free time and escape from day-to-day pressures. Depending on their intended use, backyards can also easily be adapted to fit the needs of their owners. From creative decks and perfect patios to water fountains and outdoor kitchens, there is no limit to what you can make out of your backyard. Ok, perhaps a few limitations (space, money, and homeowners association restrictions) but otherwise you have a blank canvas waiting for you to create your masterpiece. Without further ado, let us look into solutions that you can implement at your own home to increase the comfort, usability, and value of your property by investing in your backyard! While the initial costs may vary from $1K to $15K+ depending on your preferences, building a deck or a patio will attract a lot of buyers. They have the potential to raise property values in some locales. According to a recent National Association of Realtors study, homeowners typically recover 106% of the cost of a deck when they sell the home! Spend more time outdoors under the sun. Host outdoor parties and celebrations with a convenient place to stay at. Eat, drink, and chill outside rather than within the four walls. If you are a do-it-yourself warrior, consider constructing a deck yourself to save money and profit even more. Like most projects, ensure you place quality over quantity and you should see a return on your investment. Trees are a long-term investment and appreciate over time. Since younger trees are generally more appreciated amongst buyers, make sure that the trees will be somewhere between 3 – 8 years old when you are selling. The key elements of smart tree placement are privacy and shade. Take care of these 2 things and buyers will quickly appreciate your efforts. Depending on the size of your yard, around three to five trees should do the trick. If you are going to plant them freshly, make sure to take into account their growth when placing them around your home. If you have an abundance of aged trees, ensure they are pruned (eliminate dead branches) so they do not touch the home or have an unsightly appearance. Well placed trees can help insulate a home in the winter and provide sun relief in the hotter months. They can keep wind away from your property and reduce soil erosion too. They also improve air quality. They absorb carbon dioxide and produce oxygen we need to breathe. 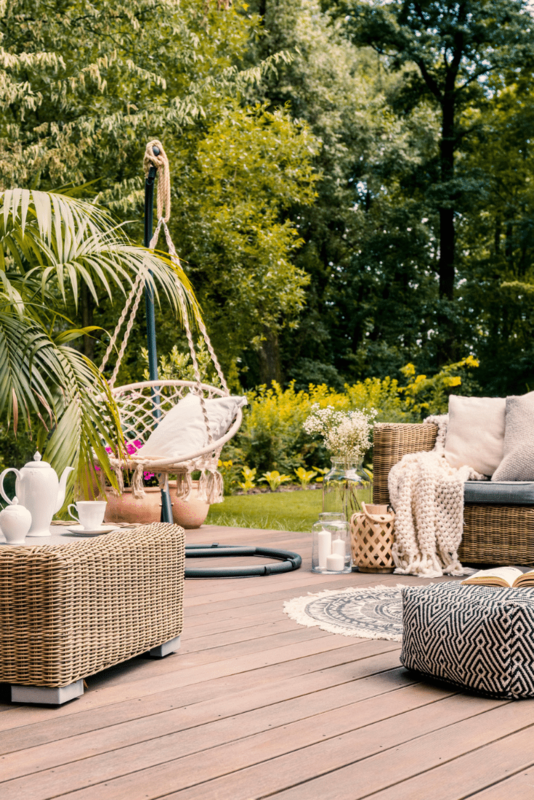 If you are still asking yourself how a backyard can increase the value of your property, knowing that usable outdoor spaces are always in high demand will ease your mind. From open kitchens to sitting areas, outdoor areas can cost you a substantial amount of money. In return, however, they will attract buyers and potentially allow you to raise the price of your property. If you are considering building an outdoor area for your next backyard improvement project, know that you cannot go wrong with open kitchens. They allow people to spend more time outdoors while cooking and entertaining guests. Of course, a barbecue grill is also a must! Sitting areas, similarly, serve as a luxury that offers an alluring ambiance and can be used year-round. All you have to do is cover the pavilion with awnings and canopies when threatened by the cold or rain. If you live in a drier climate, this could be a wonderful selling feature. Furthermore, the so-called outdoor man caves and she-sheds are also an option that seems to attract more and more people by the day. They are commonly used as gyms, yoga and meditation rooms, or reading areas. If you have the space, you are only limited by your imagination. Lots with a built-in playground in the backyard are a dream of many young families looking to settle down. A simple swing set, a sandbox, and a wooden playhouse with a slide can be magic and slightly increase the value of your home. The more elaborate, the more likely families (especially the kids) are to add the home to their short list. The good thing about this setup is that it does not have to cost a lot, especially if you do it yourself. The equipment can also be easily replaced and sold if needed. However, if you decide to have something fancy installed, expect to spend a couple of thousand dollars or more. Whatever type of playground you have, make sure it is well maintained and in working order when you get ready to list your property. With Light Emitting Diode (LED) technology never more accessible and affordable as it is now, it seems only reasonable that we lighten up our backyards. Not only will that look appealing, but LED lighting will also brighten your smile when you figure out just how much you can profit from it. Did you know LED lights use up to 85% less energy than halogen or incandescent lights? Backyard lighting, also known as garden or landscape lighting, is a way of illuminating outdoor areas. The lights not only brighten the surroundings, but also give the place a unique and peaceful feeling that people are after when looking for their dream home. Use them to brighten pathways, gathering areas, and scare off potential burglars. Since most of the lighting equipment is available in the solar-powered form, you do not have to worry about any hassle when it comes to installation and maintenance of the equipment. Lighten up your backyard oasis and let buyers see the property in a whole new light. Water has often been the center of activities since the rise of the first communities. In the past, the reason for that was mostly as water sources serving as a source of food. Add entertainment and relaxation to that list, creating a resource that can be enjoyed and nurtured. Miniature ponds and water fountains are a perfect solution for relieving stress and adding more life to your property. If you decide to tackle the project yourself, there are numerous DIY guides out there that can help you complete these tasks on your own and reduce the costs of construction. If you want to take things further and make your water sanctuary even more practical, consider setting up a hot tub in your backyard. Sell it with the property or take it with you to your new locale. Either way you stand to benefit from having one. A low-maintenance design will save a lot of your time and money. 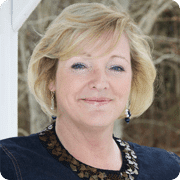 Potential property buyers and real estate agents know this very well which is why having this advantage will bring additional opportunities to the table. Opt for deep planting beds with wide borders made of stones or rocks. Pick low-maintenance perennials and evergreen shrubs. Cover the soil with mulch to retain more water and therefore reduce water loses. Mulch will also prevent the growth of weeds and thus save periodic maintenance time. Prune selectively and regularly to improve the looks of the vegetation and ensure its health. Limit plant species to give your backyard a neat look while making the vegetation easier to handle. Clearly define the lawn edges. This will make your yard look tamed and provide it with a low-maintenance appearance. Bricks, stones, timber, or even steel can serve as the borders. The easier the landscaping is to manage, the better received it will be by potential buyers. No one wants to maintain a jungle. So follow the tips and give consumers an opportunity to fall in love with the backyard oasis. You should make sure that your backyard is attractive all year round. Most gardens are leafless and colorless during the cold months. Having a lively yard will set your home apart from the majority of properties new buyers will be visiting. Year-round vegetation such as ornamental grasses and evergreen shrubs offer a good start at making your backyard livelier. Colored bark can help enhance the look as well. If you are going to add a fence to tighten the security around your home, consider a natural vegetation option to screen your backyard in style! If you go with wood fencing, treat it so it does not have that gray weathered look. Whatever you decide to include, make sure it adds, not subtracts, from the rest of the outdoor theme. Tacky is definitely out and functional is absolutely in! Be smart yet practical and reap the rewards! 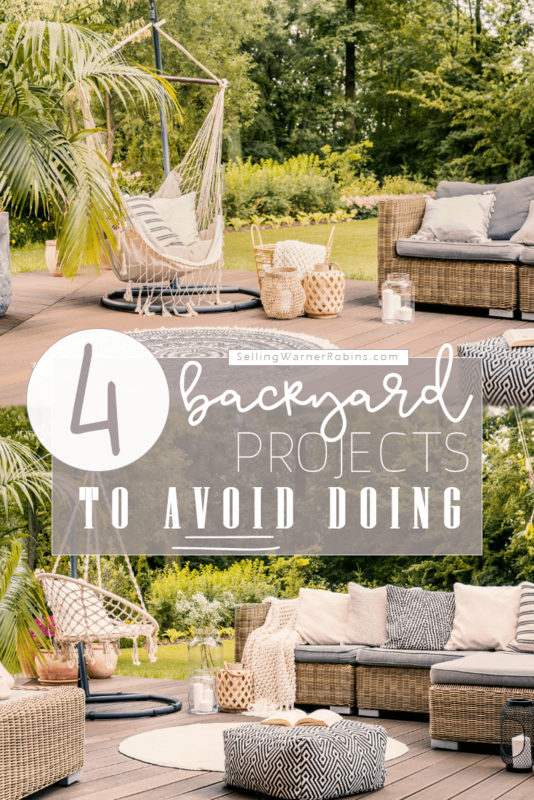 It is definitely good to move forward with your backyard improvement projects, but make sure to understand what you are getting yourself into. Besides the factors that may add to your property value, there are also those that can do the exact opposite. Some changes may not be worth the investment and may scare off potential buyers. Always make sure that you compare your current property value with investment costs and estimated after-repair-value to determine whether you should do the renovation or not. Here is a list of backyard improvements that you may want to avoid if you are trying to gain a profit on your investment and maximize your outdoor space. Not only do they cost quite a bit of money to be built, but they might repel potential buyers due to the high maintenance that is often required and the water danger that exists for families with young kids (or anyone who cannot swim). They can be a lot of fun but are not ideal for everyone. While the idea of having a swimming pool right outside your backdoor may sound compelling, most people are not interested in paying the extra money you are trying to recoup from your investment in building the pool. If you have a pool, enjoy it while you own the property but do not be alarmed when buyers do not share the same enthusiasm when you are trying to sell the house. Most buyers are after green patches of land that offer a place for relaxation. It is wise to avoid large asphalt-covered areas, such as a sports court, in the proximity of the house. Too much concrete will give the appearance the outdoor space lacks warmth. That is exactly the opposite of what you want the space to convey to consumers. In hotter locations, the concrete can get hot which is not ideal for kids or pets. Also, eventually the concrete will crack or break. This adds another layer of outdoor maintenance that many do not want to tackle. Add concrete where it makes sense but do not make it the focal point of the backyard. Who is thrilled by the mass of bugs, insects, and vermin that fruit trees attract? No one! They are often ornamental and look refreshing while in season, but that can quickly sour once the fruit ripens and begins to fall from the tree. Rotting fruit lying on the ground is an eyesore and is definitely something that many potential buyers may dread. If you have a choice, go with another option that provides the look and feel you are after. If you can avoid the mess and clean up that often accompanies fruit trees, buyers will take notice. Let’s face it, very few buyers are going to get excited about a decorative gnome collection or an endless array of ceramic frogs you got as a gift or as a great deal at a flea market. Just like decluttering your home is key to sprucing up the inside of the property, doing the same to the backyard can pay dividends. Donate to a garden center, a neighbor, or take them with you instead of leaving these treasures behind. Do not purchase and display them on the hope they will help increase the property value or improve the likelihood consumers will fall in love with the house because of the collection. The opposite is likely to occur. Giving your backyard a thorough makeover will make your home and surroundings more functional and fun. It can also increase the value of your home. Obviously, this is exactly what you seek when you are trying to sell the property. A well maintained home that buyers can see themselves living in rarely goes unnoticed. From low-maintenance designs to selective lighting and the construction of outdoor ponds and rooms, there are many solutions that can help you bring your backyard to the next level. Overlap your preferences and you will be able to secure a new look in no time!